SIMUWU small melting furnace is the most advanced, energy saving, operation is the most convenient, environmentally friendly pollution-free copper melting equipment, a furnace melting capacity of 1-250 kg, melting speed, high efficiency, is a new melting furnace . 1, Is specialized in the production of die-cast aluminum-magnesium alloy products and research and development of special equipment, with energy saving, environmental protection, temperature control accuracy, high thermal efficiency (effective utilization rate of 80% or more) and electromagnetic stirring function, can promote alloy liquid crystal grain Refine and reduce the composition of segregation, the alloy liquid composition, improve the quality of die-casting products. 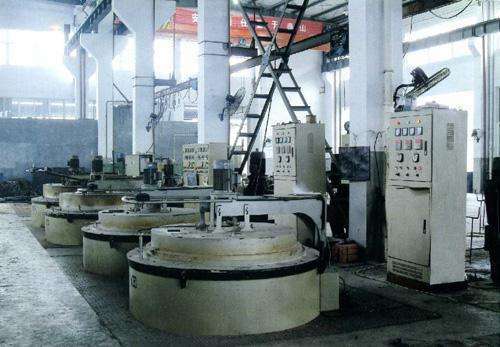 2.,The coreless induction heating principle, with heating and insulation two heating state, and the implementation of multi-point temperature monitoring, to ensure that the alloy liquid to achieve the best injection temperature, and abnormal temperature alarm. 3, Using non-power intelligent automatic compensator, can effectively balance the protection of the power grid. 4, using more from the protection, good safety performance, long life, simple operation, easy maintenance and low maintenance costs, fully able to meet the pressure casting, metal casting, squeeze casting product smelting technical requirements. 9, according to the recommended equipment and the maximum smelting capacity, melting time per furnace is 20-30 minutes.